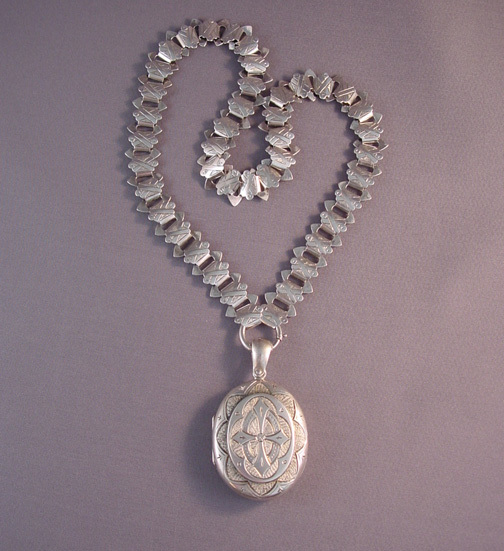 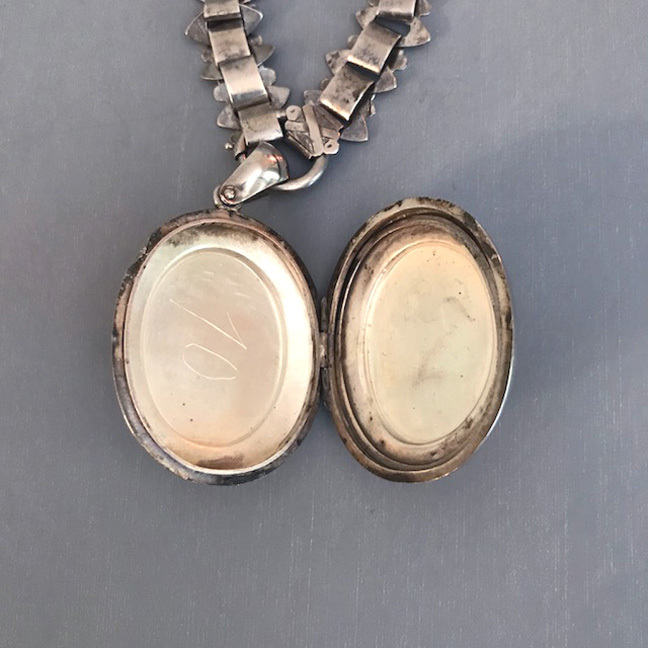 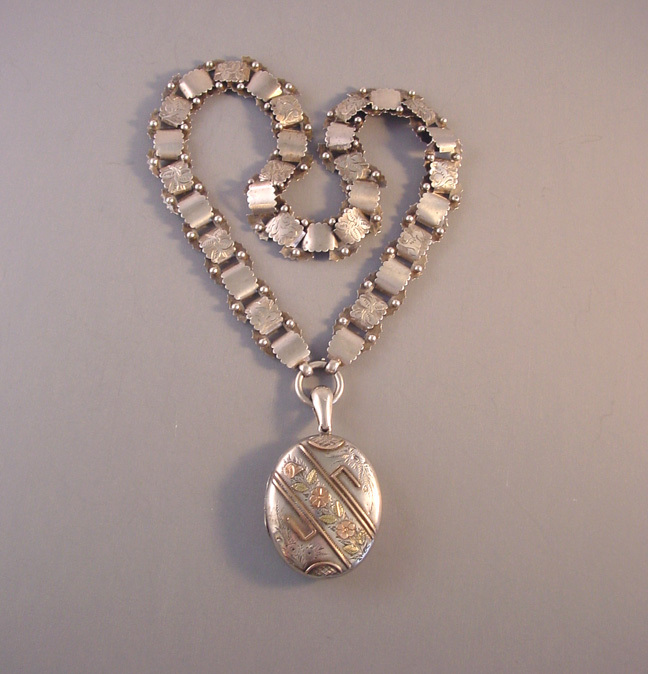 VICTORIAN sterling silver locket and collar circa 1880s. 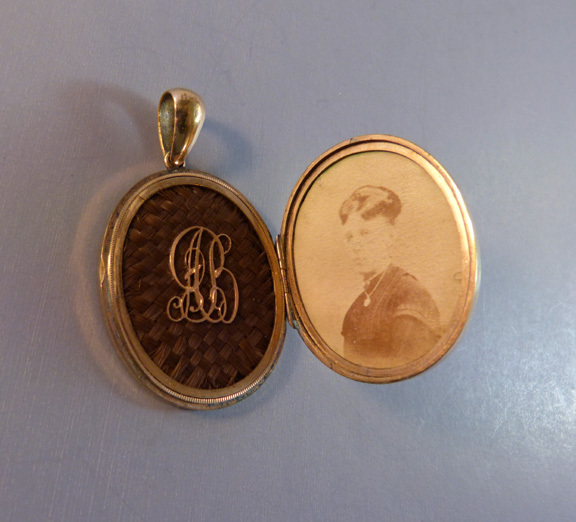 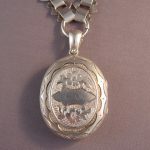 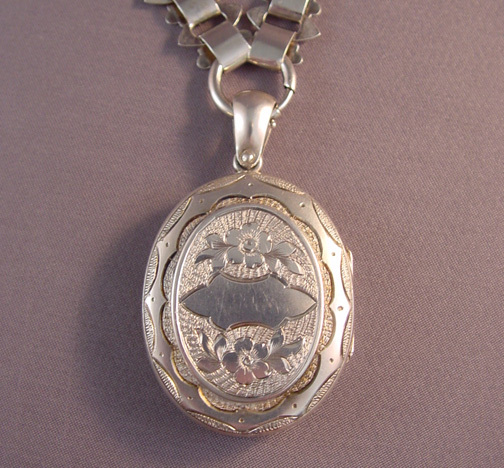 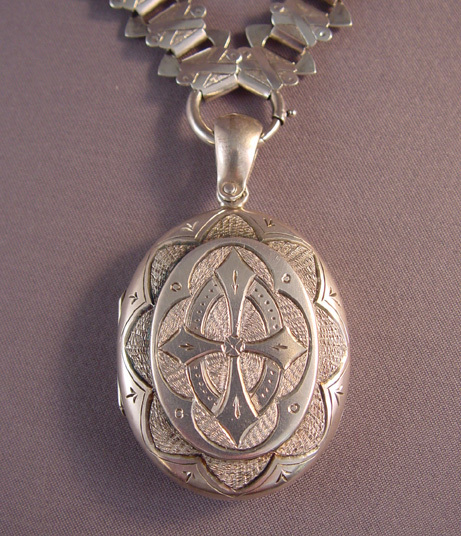 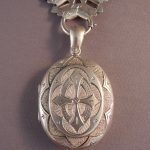 The locket has an open cartouche for your initials, and a floral design on one side and geometric design on the other. 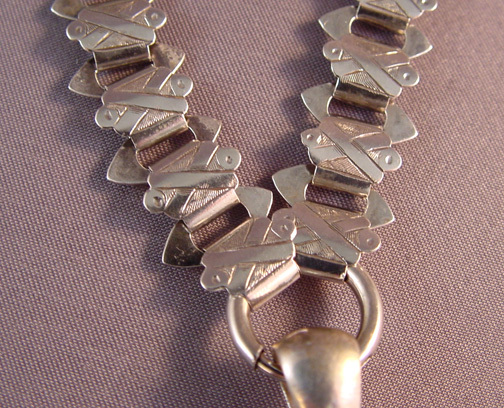 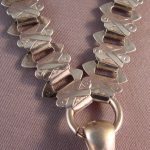 The collar with an etched X's design on one side and is plain on the other. 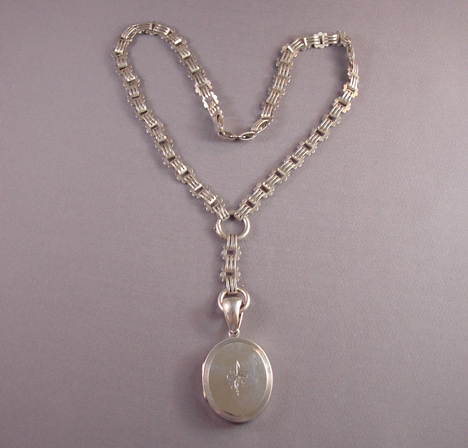 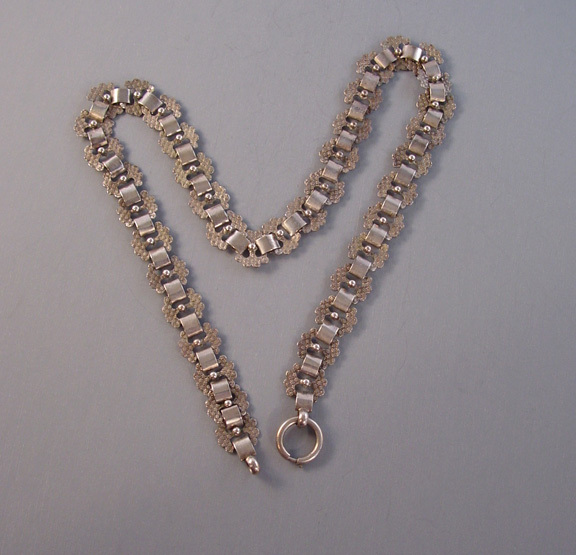 The locket is 1-1/2" by 1-1/4" and the collar is 16-3/4" by 1/2".